It'd be nice to have a game, let alone be at the top of it. It's funny how much (and how often) I look forward to getting out of town. 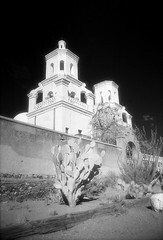 Meanwhile, this is Tucson, shot in 2002. Originally uploaded by rotorglow at 21 Aug '05, 12.08am EDT. No Tucson trips on the horizon, but hopefully my W. NY expedition happens this weekend. I should just stay around and continue unpacking and sorting and getting organized. But when an opportunity to get away presents itself, I'm more and more likely to do it. This page contains a single entry from the blog posted on 2010-02-09 at 22:47. The previous post in this blog was lake house 1/2010. The next post in this blog is here's another one from the "just because" department.